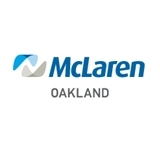 McLaren Oakland-Dixie Highway Internal Medicine (Clarkston) - Book Appointment Online! Everyone there was friendly. It was my first visit and i am very pleased.